David Marcus and James A. Sanders have published an article about the different critical editions of the Bible in the 2013 Nov/Dec issue of BAR (Biblical Archaeology Review). I think it is very useful for those who are starting in-depth biblical studies, like my first year graduate students. Marcus and Sanders begin the article with a fact which I have proposed every year to my students, and to some of them to their initial disbelief: our Hebrew Bible modern translations “tend to smooth out difficulties in the original Hebrew.” However, while most of them do not provide for it, some English translations (like the Oxford NRSV) point out many times where the meaning of a Hebrew word is obscure or even unknown. This fact is really shocking to many of my students, since most of them, as the article well says, learned that the word of God is inspired and it was “carefully transmitted for centuries”. The authors of this short article give a concise history of the transmission of the Hebrew text including the definitions of some common and important textual criticism features (haplography, dittography, metathesis, etc. ) and offer a brief history of the effort the Masoretes took to preserve the integrity of the biblical Hebrew texts. Reading this article reminded me of the days I had to memorize the definition of all these terms and prepare some passages for the text criticism exam. All students had to give examples on both the Old and the New Testaments, showing our recent knowledge of the apparatus criticus on both the BHS (Biblia Hebraica Stuttgartensia) and the Nestle-Aland New Testament. I wish and hope more of our students would become really interested on this fascinating subject in biblical studies. Finally, I find very useful that the authors give a brief description of the actual three different critical projects on the Hebrew Bible: the OxfordUniversity Bible (OHB), the Hebrew University Bible Project (HUBP) and the BiblicaHebraica Quinta (BHQ). Their article also explains the scope and the editorial control of each one of these programs. 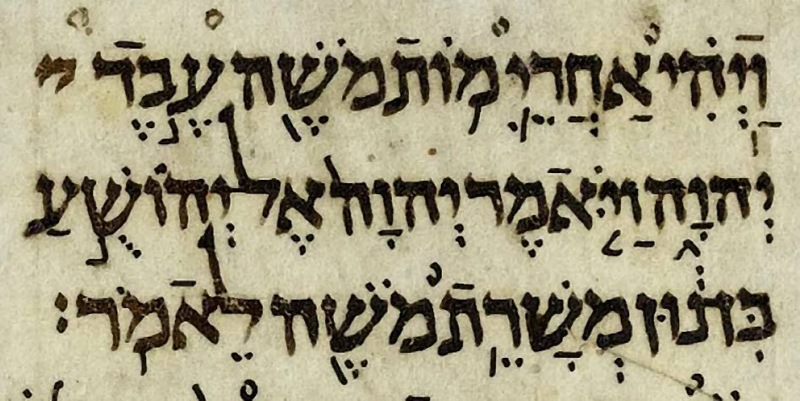 Although it does not go into many specifics describing them, the exposition as a whole serves as a brief introduction to the nature and importance of the critical editions of the Hebrew Bible.